For a limited time, buy 1 LP, get 1 FREE! Buy either color, and we will send you the other color FREE! 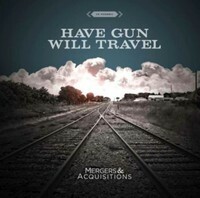 Have Gun Will Travel’s third album (and first for iSuburban Home), “Mergers & Acquisitions” could be the band’s most focused and best written album. 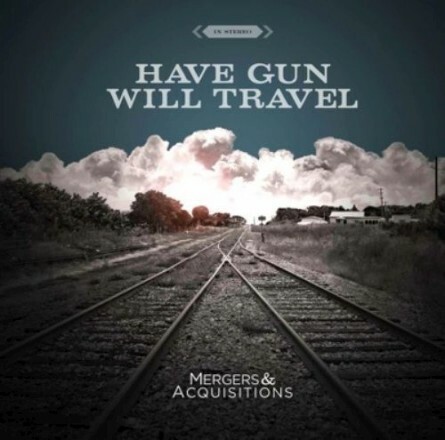 The album is available on LP, CD, Digitally, and as a deluxe set. The CD and LP will come with a free HGWT beer coozie (while supplies last). The Deluxe Set will contain vinyl, CD, Beer Coozie and Pint Glass. Only 100 deluxe sets will be sold. The vinyl will be pressed on 2 colors (300 on green, 300 on blue) and will come with a Download coupon. 300 on green, 300 on blue. The copies on green were originally supposed to be on white vinyl, but the pressing plant ran out of white.